The collective noun for a group of owls is a parliament. 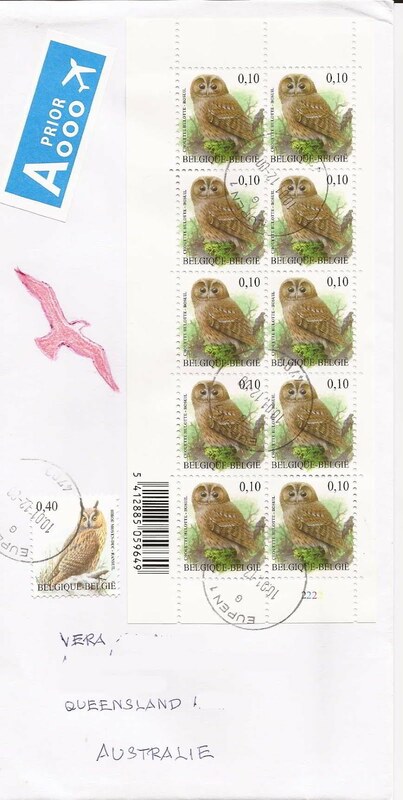 Here you see a parliament of owls on a cover from Belgium postmarked 10-01-12.Stamps issued 2007. Many thanks to my friend Vrin for this special cover. These Tawny Owls live in pairs.